Web-based system which eliminates the need to purchase new software. System is accessible anywhere as long as there is internet access. Its features provide for good planning, budgeting, and forecasting. The ability to create customized reports is a very nice touch - we are able to share this across our organization. Users need more visibility for external reporting. If this already exists, then I would suggest more training or webcasts that cover this topic. On the sales side of things, I would suggest ensuring that your NEW users are aware of the amount of training involved in learning to be an ADMIN for Adaptive Insights. Users need to be able to move beyond the implementation to active use. Yes, Adaptive makes things easy, but only if you know how to write the formulas and set things up correctly to run in the background. Hands-on training is a must! Our implementation was 3 years ago, though, so maybe things have improved somewhat since then. More problem/solution-specific forums for users to interact with each other and find new and better ways of handling unique issues. Since Adaptive is so flexible, it often takes bouncing ideas off others to figure out the best way to plan for certain types of revenue or expenses. We just recently renewed our contract and I wouldn't hesitate to renew again. First, Adaptive as a company has a great customer-first attitude and they're great to work with. Their customer service team is fantastic. Second, they are constantly trying to improve the product and make it better, but not losing sight of what we really need. Also, the longer you use the product the more it is filled with priceless data all in one spot with instant access to report on and dig into. Adaptive is very easy to use, but it requires some training to get comfortable with it. The most positive impact has been on time. While it took some time to get things set up correctly, once we did, we were able to report results very quickly. The budgeting process has gone much more quickly. What-if scenarios are a little trickier. There are multiple ways you can do it. We have chosen to use assumptions for percentages and then copy the original version to a "what-if" version and change the assumption it is pointing to. However, this is a bit clunky. 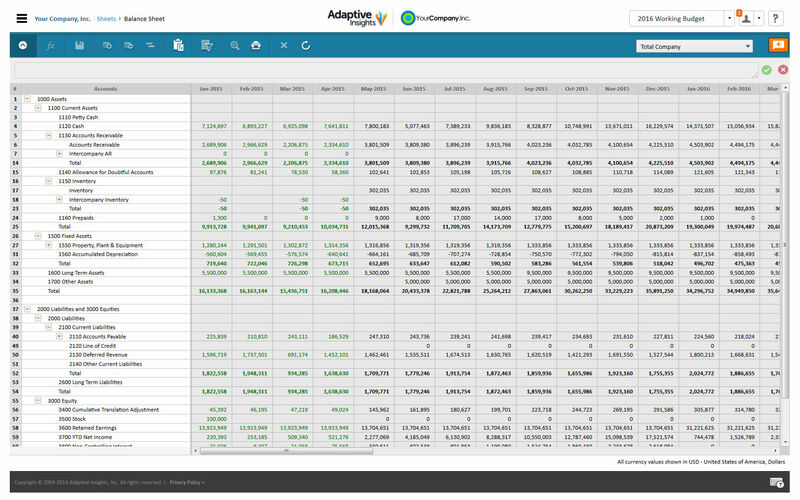 Month-end reporting is getting faster and faster the more we automate through Adaptive.